I’m Drew Lichtenberg, the new Literary Associate at the Shakespeare Theatre Company. One of the tasks in my role here at STC is to serve as the theatre’s dramaturg, a resident scholar who provides feedback—historical, contextual and critical—on the theatre’s productions. Gotthold Ephraim Lessing, a distinguished playwright in his own right, launched the profession in the 1760s with a series of such notes, written to the Artistic Directors of the Hamburg National Theater, which have come to be known as the Hamburg Dramaturgy. It’s always been a dream of mine to have a similar home in print: a sandbox, an editor’s column, a dramaturgy of my own. And that’s the reasoning behind this new column. It will be a place for transparency and philosophy, initiating a season-long conversation on the meaning behind the shows onstage. Those interested in participating in this discussion can write to me at DLichtenberg@ShakespeareTheatre.org. I will do my best to include responses and queries of interest. Since I have no reader mail to respond to yet, I’ll start by honoring Lessing and keeping things German. I had the good fortune to visit Berlin this summer and attend a number of theatre performances. One of the striking things I noticed was the German approach to program notes. Rather than publishing a director’s note or a piece by a scholar, the German practice is to simply publish criticism, sometimes in another language, and frequently decades old. At a glance, you are able to see the condensed history of critical perspectives on a play such as, for instance, Hamlet, from Sigmund Freud and T.S. Eliot to the more contemporary views of Peter Brook and Slavoj Žižek. It’s a fascinating way to think about a play. So here is a miniature tribute to the German method with thoughts from some of the great thinkers on a very French play. Here’s a hint: Lessing appears. 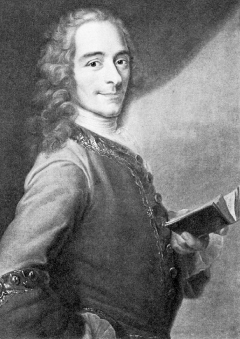 Voltaire (“On the Comedy,” May 10, 1737): Whoever doesn’t enjoy Regnard doesn’t deserve to admire Molière. Gotthold Ephraim Lessing (“Note #29,” The Hamburg Dramaturgy, 1767): Comedy works through laughter—not through derision—to improve. […] The true universal use of comedy lies in Laughter itself; in the practice of our faculty for observing the absurd, of observing it easily and quickly under all disguises of passion and fashion, in all its associations with still worse or with good qualities, even in the wrinkles of the most zealous earnestness. To be sure,L’Avare (The Miser) of Molière, Le Joueur (The Gamester) of Regnard, have never improved a miser or a gambler; we admit that these fools cannot be improved through laughter: too bad for them, but not for Comedy. It is enough for her, if she cannot heal hopeless sickness, to confirm the healthy in their health. […] A preservative is a valuable medicine; and in our entire morality there is no medicine more powerful, more effective, than the absurd. Stendhal (Racine et Shakespeare, 1823): The comedy of Molière is too often saturated with satire to give me the sensation of gay laughter. … I love to find, when I am going to relax at the theater, a wild imagination [like Regnard’s] that makes me laugh like a child. Pierre Beaumarchais (“Preface to The Marriage of Figaro,” 1778): If Regnard had called his Légataire, La Punition du Celibate (‘The Punishment of Celibacy’), the piece would have thrilled us. Dorothy Medlin (1966): The tone is so light and the pace so fast that, during the performance, the plot seems well organized and coherent. Upon later reflection, certain terms in the original proposition may be judged unreasonable, but afterthoughts of a rational nature have no place in the realm of fantasy. A long list of needless questions maybe proposed, but he who stops to inject rational questions into a fantasy breaks the spell. Victor Fournel (1891): You must read Regnard as a player, as a gambler (le joueur), making a meal out of the good sense of the joy of life and laughter.